But as anyone who’s ever tried to finance their great idea knows, the money still needs some help leaping into your bank account so you can put it to work. In the old days (you know, like two years ago), raising money for your company meant going to friends and family for a loan, or spending $25,000 or more on attorneys so you could raise money from accredited investors. Now, if you do it right, you can raise up to $1 million through equity crowdfunding–for anywhere from $8,000 to $15,000 in legal and setup costs. Warren Buffett once cautioned, “Risk comes from not knowing what you’re doing.” So before you dive into the deep end of this pool, let’s look at some things you need to learn about the waters. 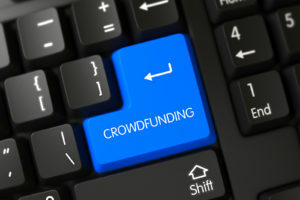 You’re probably familiar with the original form of crowdfunding: People with an interest in a start-up give money through a site such as Kickstarter in exchange for some reward (a first version of the product, a T-shirt, that sort of thing). If enough people give even a little, the startup can bank what it needs to get rolling. The key difference with equity crowdfunding: With this model, people in the crowd are actually buying shares in the business. They’re securing equity. They’re investing in hopes of seeing a return. They want something more than a T-shirt. It’s taken several years to pass bipartisan regulations to allow for crowdfunding for equity, but it got up and running in 2016. Around 120 companies raised some level of money this year using this method. Businesses like restaurants and microbreweries–those with strong brand loyalty that can quickly connect to a large crowd of customers and supporters–have been early adopters. So here’s the million-dollar question: Is it for you? I posed that question to Mark Jones, who was deeply involved in the legislative back-and-forth that made crowdfunding for equity a reality in the United States. He’s the CEO of a startup himself, Sprowtt, and former chairman of the International Crowd Funding Association. For starters, he says, make sure the portal is approved by FINRA, the private corporation that acts as the self-regulatory organization for securities firms. It’s a safe way of knowing the portal is legit and properly structured. Do you have your financials put together? Do you have a business plan that can be translated into the registration document that’s required? Do you have more than one person in your company and a corresponding succession plan should something happen to you? Above all, Jones insists, you need to get with an attorney who really understands the process. There are only a handful of attorneys out there who specialize in this area, but that will likely change as bar associations begin providing more education on it. So do your due diligence to make sure your organization is ready and that you’re getting advice from people you can trust and who know how it works. If you have a crowd that loves you and your product, this might be a great option for raising the capital you need to grow your business.